I began doing security work for the U.S. Navy in 1970 while serving as a young sailor aboard the USS Kitty Hawk as the aircraft carrier was stationed on “Yankee Station” off the coast of Vietnam during the war. Back then we joked that the ultra-secret NSA stood for “No Such Agency,” rather than the National Security Agency. 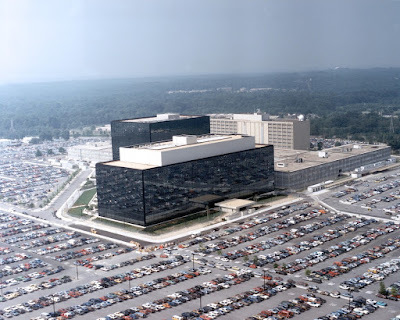 Some years later, while serving as the civilian administrative officer for a Defense Department command in Philadelphia, I oversaw and coordinated security programs for the command and I worked with and was trained by NSA. I visited NSA headquarters at Fort Meade and I was impressed with the professionalism and patriotism of NSA’s military and civilian employees. NSA is far better known by the public today. As a writer, I recently attended former NSA director and retired Air Force General Michael Hayden’s talk at the Philadelphia World Affairs Council. 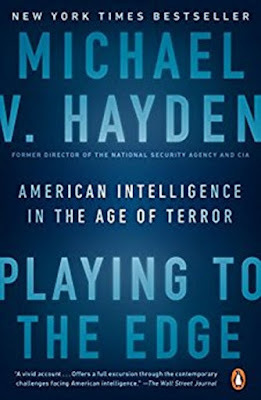 Previous to the event, I read his book, Playing to the Edge: American Intelligence in the Age of Terror. 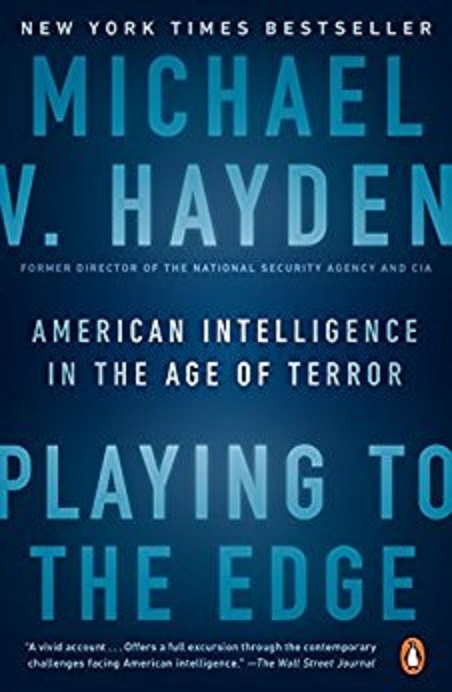 General Hayden (seen in the below photos), also a former CIA director, offered a frank and interesting discussion of modern intelligence work and spoke of how NSA responded to the 9/11 terrorist attack on the World Trade Center and the Pentagon. So with my interest in NSA, I was pleased to read Emma Ayers' Washington Times piece on the 100 year anniversary of Fort Meade, home to NSA and other commands. The hub of U.S. cybersecurity, Fort George G. Meade in Anne Arundel County, Maryland, remains the game-changer in defense that it has been since its inception. To celebrate, Fort Meade is hosting a public gala Saturday that will include a visual walk-through of its history. It makes sense, then, that the 5,000-acre fort was named for the Union general who helped win the Battle of Gettysburg, which turned the tide of the Civil War. Nestled along Interstate 295, the Army base has changed the tide of the Maryland job market. It is the state’s No. 1 employer, with 55,568 employees — nearly twice as many as the Pentagon. Some 138,000 people enter the base daily, and the average household income for the area is more than $84,000.